Here is the list of the hotels near Hamars. Book your hotel near Hamars today, Thursday 16 May for the best price, reservation and cancellation free of charge thanks to our partner Booking.com, leader in on-line hotels reservation. Below here is the list the 50 closest hotels of Hamars, sortable according your criteria. You will find the position of these accommodations on the Hamars hotels map. Offering a garden and barbecue, Maison de Charme is located in Épinay-sur-Odon, 20 km from Caen. Cabourg is 43 km away. Free private parking is available on site. There is a private bathroom with bathrobes in each unit. Maison de Charme includes a sun terrace. Guests can have dinner at the property upon request and at an extra fee. The property also offers packed lunches. Free use of bicycles is available at the property and the area is popular for hiking. Guests can visit a farm. Bayeux is 24 km from Maison de Charme, while Ouistreham is 33 km from the property. The nearest airport is Deauville – Normandie Airport, 53 km from the property. Villa La Montee is located in Le Locheur and offers barbecue facilities. Guests staying at this villa have access to free WiFi and a fully equipped kitchen. The villa is equipped with a satellite TV. The villa offers an outdoor pool. Caen is 19 km from Villa La Montee, while Bayeux is 27 km from the property. The nearest airport is Deauville – Normandie Airport, 64 km from the accommodation. Providing free WiFi, Au Vieux Puits is set in Villers-Bocage. All rooms in the hotel are fitted with a kettle. Each room comes with a private bathroom. All guest rooms feature a wardrobe. Caen is 25 km from au vieux puits. The nearest airport is Deauville – Normandie Airport, 70 km from the property. Holiday Home La Tour is located in Boulon. The property is 20 km from Caen, and private parking is provided. The holiday home includes 2 bedrooms and a kitchenette with an oven and a microwave. A TV is available. Guests can also relax in the garden. Cabourg is 49 km from the holiday home, while Bayeux is 46 km away. Deauville – Normandie Airport is 58 km from the property. This Logis is located in the Normandy village of Villers-Bocage. It offers free parking and soundproofed accommodation with TV, private bathroom and free Wi-Fi. The Trois Rois Restaurant offers regionally inspired French cuisine in the hotels elegantly furnished dining room. Guests can enjoy the hotel’s breakfast in the comfort of their room. 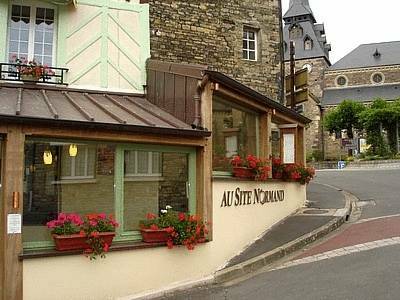 The Logis Hotel Les Trois Rois is just 25km from Caen and 40 km from the north Normandy coast. Guests can enjoy hiking and cycling in the countryside surrounding the hotel. Set in Amayé-sur-Orne in the Lower Normandy region, Manoir de l'Oseraie has a terrace and garden views. This holiday home features a garden and barbecue facilities. The holiday home includes a living room with a flat-screen TV and a Blu-ray player. The kitchen features a dishwasher, an oven and a microwave, as well as coffee machine and kettle. Guests can make use of the sauna. A bicycle rental service is available at this property and hiking can be enjoyed nearby. Caen is 16 km from the holiday home. Deauville – Normandie Airport is 56 km from the property. Manoir de la Queue Du Renard is located in Tracy-Bocage in Normandy. It is an 18th-Century manor set in a 3-acre garden with a large pond. Rooms at la Queue Du Renard combine a contemporary and a traditional French-style. Each has a view of the surrounding grounds and some rooms have a spa bathtub. Breakfast is served in the dining room and evening meals can be prepared upon request. On warm days, guests can dine on one of the guest house’s two terraces and admire the garden. Caen city centre is 27 km from the manor which can be accessed from the A84. Wi-Fi is available in some rooms and private parking is free on site. Manoir de la Rivière is a converted 16th-century farmhouse surrounded by 37 acres of gardens and woodland in Normandy’s countryside. It offers en suite rooms and a leisure complex. Manoir de la Rivière’s rooms are uniquely decorated and feature antique beds. Each room is equipped with a telephone, TV and private bathroom. Some rooms have a four-poster bed. Guests have access to free Wi-Fi and many books in Manoir de la Rivière’s library. There is also a music room with a baby grand piano. Manoir’s leisure complex has an indoor heated swimming pool with a counter-current wave machine. Guests can also relax in the sauna. The Manoir serves regional cuisine made from local produce. Guests can enjoy a drink near the bar’s double height fireplace or on the terrace overlooking the garden. Manoir de la Rivière is a 20-minute drive from Caen and 30 minutes from Bayeux. Free on-site parking is available. The Ferme de la Cordière offers rooms in an equestrian centre located 15 km from Caen. It features a garden with an outdoor swimming pool and free Wi-Fi access in all areas. Each room is simply decorated and includes a TV, a wardrobe and a private bathroom with a shower. Breakfast is served daily. Guests have access to the equestrian centre at an extra charge. Horse riding lessons are offered, and for guests with their own horses, stable and field space is available on request. 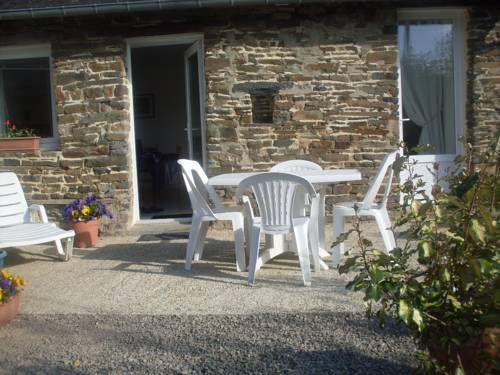 Featuring free WiFi and a sun terrace, Moulin de Benneville offers accommodation in Cahagnes, 7 km from Zoo of Jurques. Homemade meals are available upon prior request. Free private parking is available on site. Rooms are equipped with a TV. Certain rooms include a seating area to relax in after a busy day. Some units have views of the lake or river. Extras include free toiletries and a hairdryer. Set in Saint-Vaast-sur-Seulles, Le Moulin À Papier offers a private pool. Guests staying at this holiday home have access to free WiFi, a fully equipped kitchen, and a terrace. The holiday home comes with a TV and 2 bedrooms. The holiday home offers a barbecue. A children's playground is also available at Moulin A? Papier, while guests can also relax in the garden. Caen is 26 km from the accommodation. The nearest airport is Deauville – Normandie Airport, 70 km from the property. Below here is the hotels map of Hamars. Names and details of Hamars hotels can be shown on the map clicking on the prices icons.